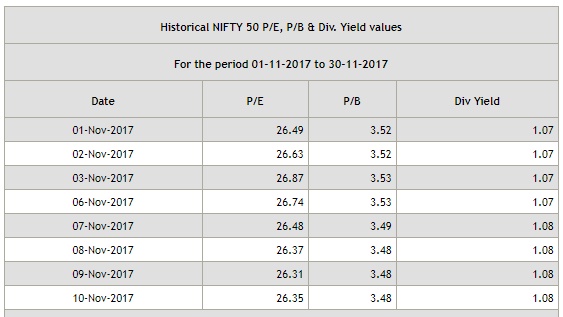 Nifty PE ratio hovering above 26 levels for the the past 1-month. Monthly trading sentiment is continuing positive and at the extreme. 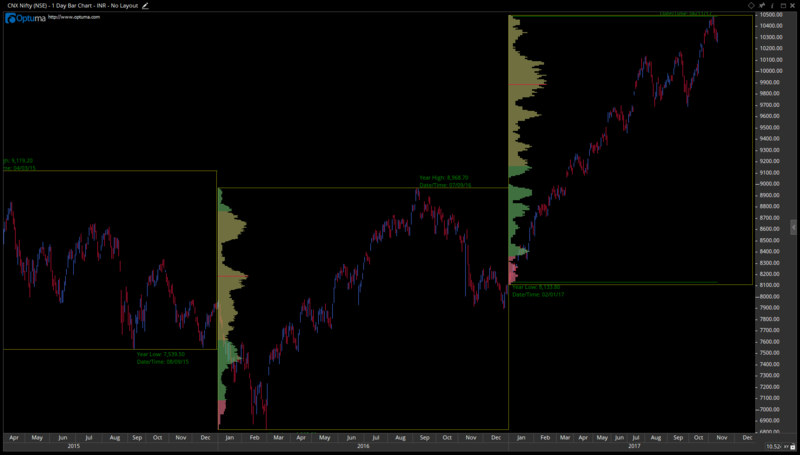 Yearly profile shows a trending market with poor structure, which indicates short term is still bullish however the participation is getting more and more emotional in buying. Lack of symmetrical structure often suggests how emotional/patriotic long term players are! Short term supports for this month comes in the range of 10200-10300 levels. Immediate larger corrections are not expected for this month though there are some global jitters last week. Any temporary corrections are more likely to be bought back. However larger picture is still concerning from investment perspective as the end of this emotional phase is increased volatility. Hedging is the mantra for long term inventors to protect from any increased volatility. If you are a trend follower still one can be riding the trend and contrarian thinking about a bear market is still not a appropriate time.